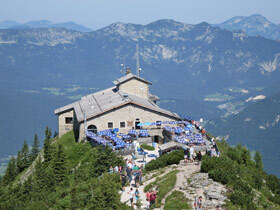 Find a selection of our most popular tours here. Additionally, we can arrange tours to suit your requests. 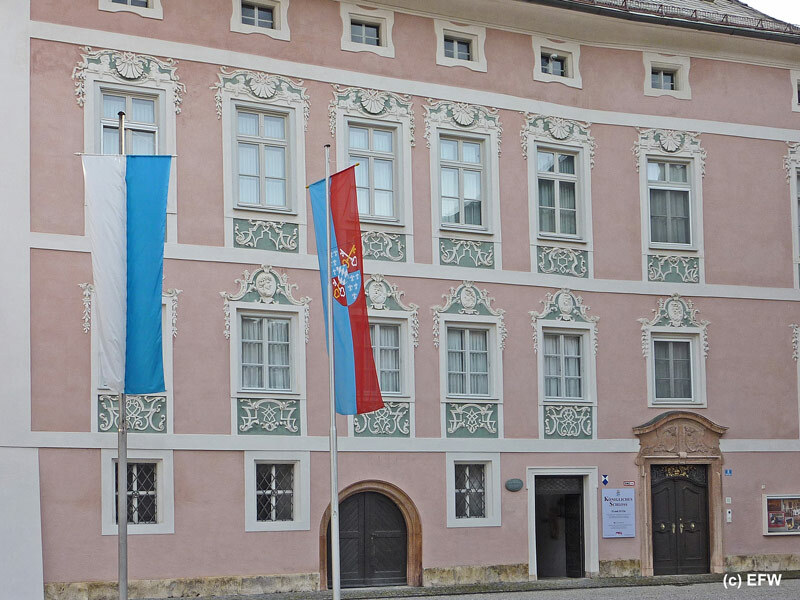 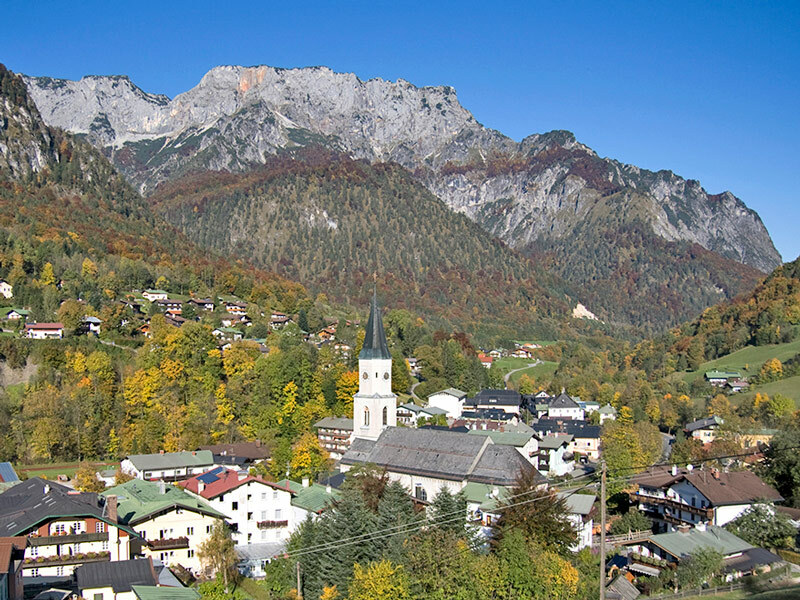 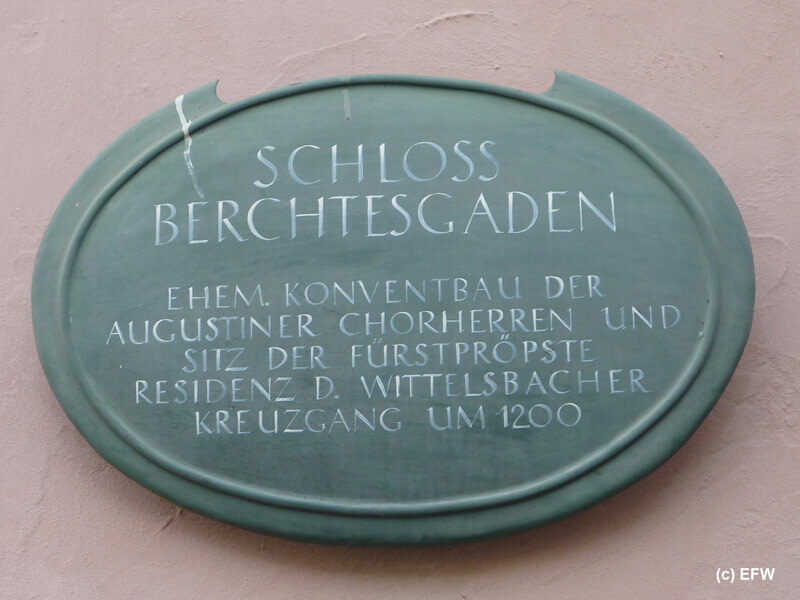 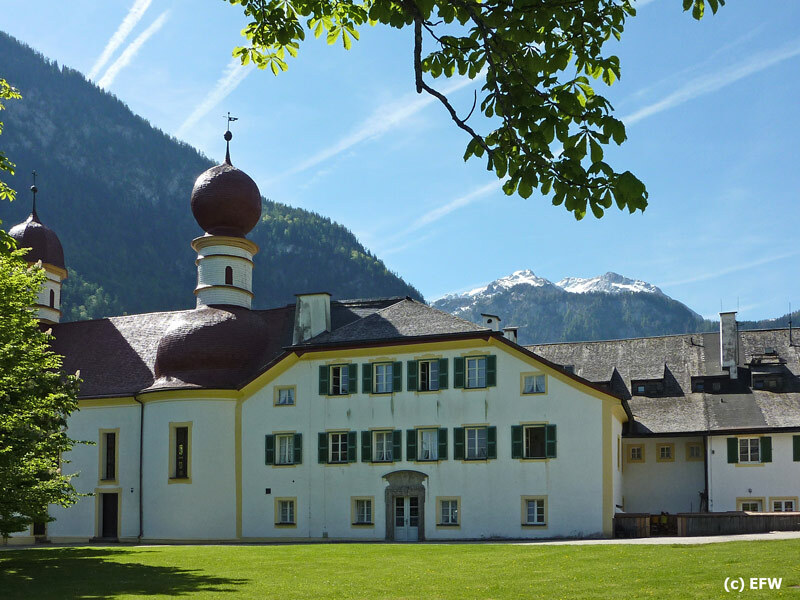 Berchtesgaden dates back to 1102 when an Augustine monastery – the later principality 'Fürstpropstei' - was founded. 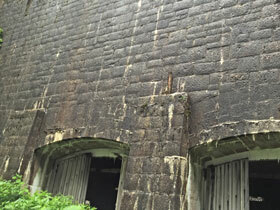 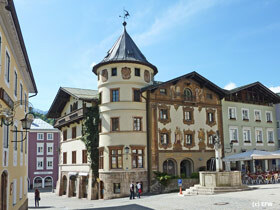 900 years of history is reflected in the architecture of the town, which has remained intact throughout the centuries. 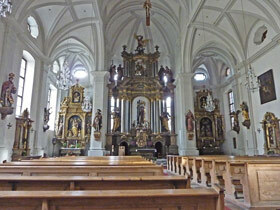 Also, learn about the present day market town. 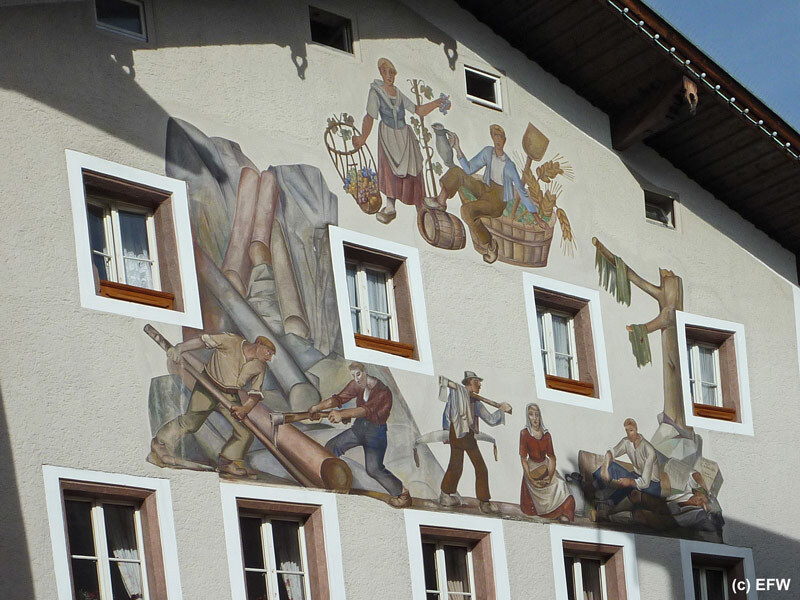 A stroll through the town with tales from the past. 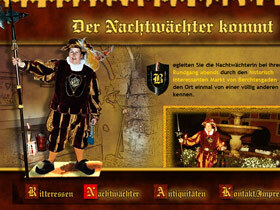 On request you can have a drink at the night watchman's tavern 'Nachtwächterstüberl'. 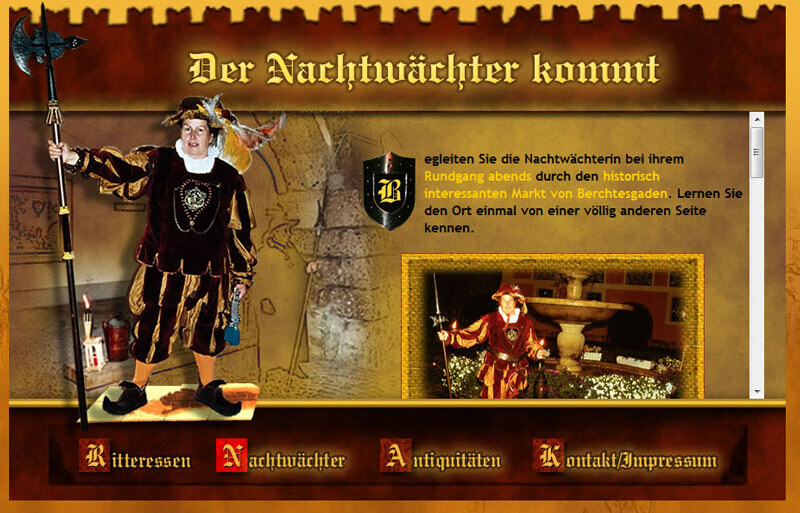 -> in each case at 8:00 p.m. Please note: No booking necessary! 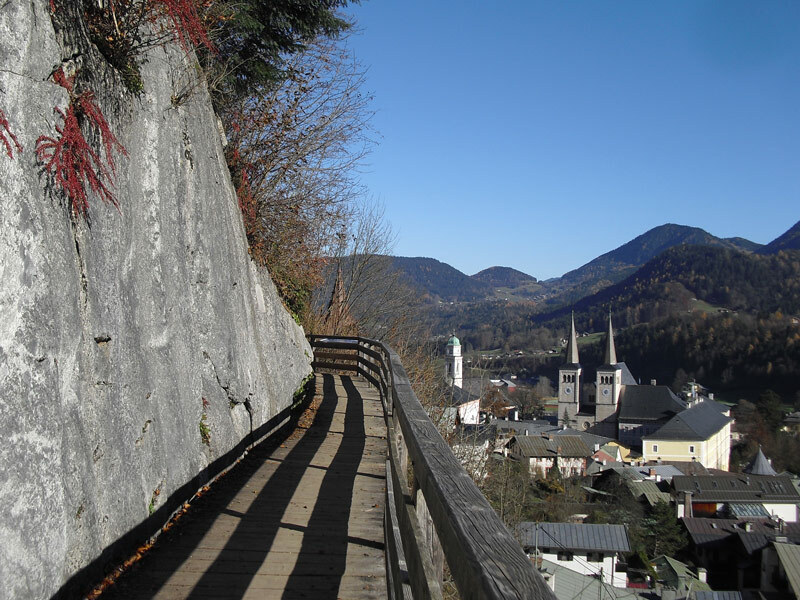 Steps and uneven cobble stones. 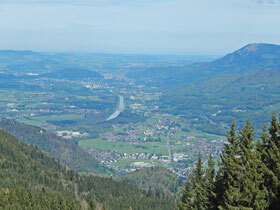 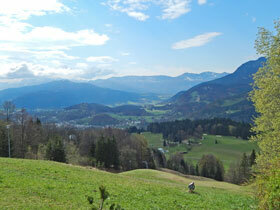 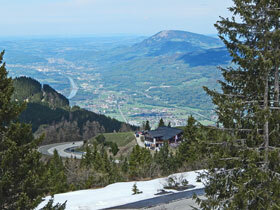 Walk from church to church along the famous brine pipe pathway 'Soleleitung' high above the roof tops of Berchtesgaden. Please note: Sturdy footwear recommended; partly steep climb. A walk from the National Park Information Centre 'Haus-der-Berge', along the brine pipe gantry above Berchtesgaden and then down to the famous salt mine. 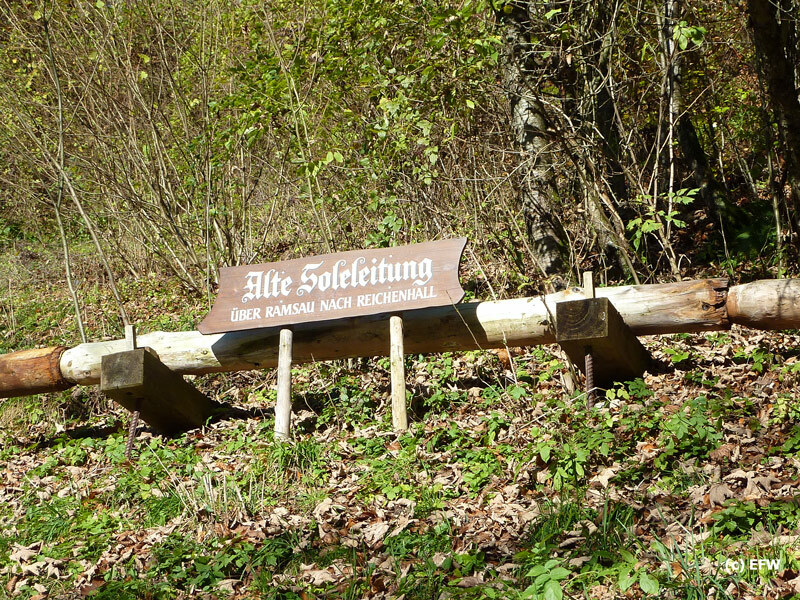 Please note: Sturdy footwear recommended; partly steep descent. 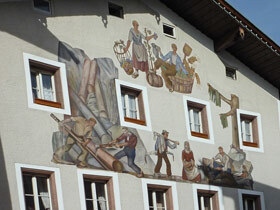 Tour through the town and visit their workshops. 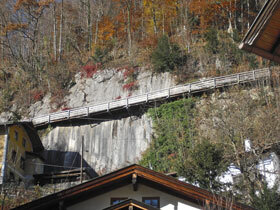 Please note: Steps and uneven cobble stones. 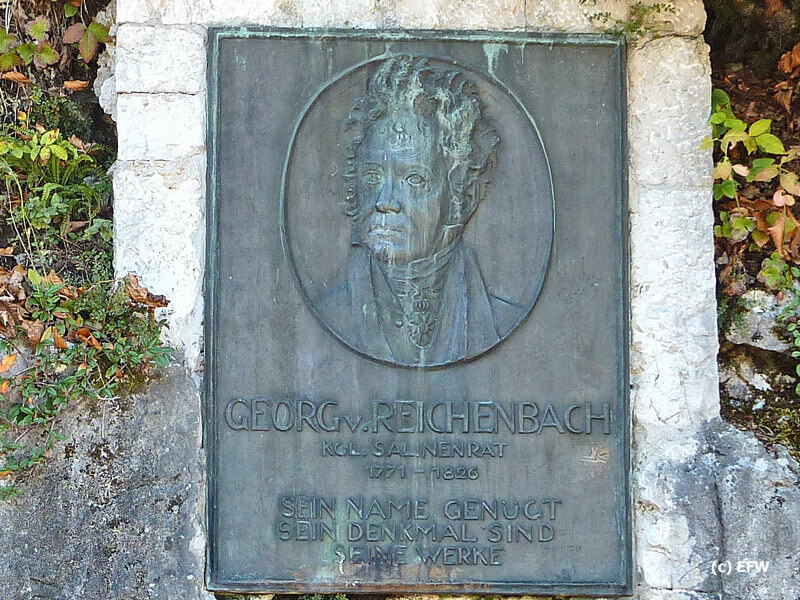 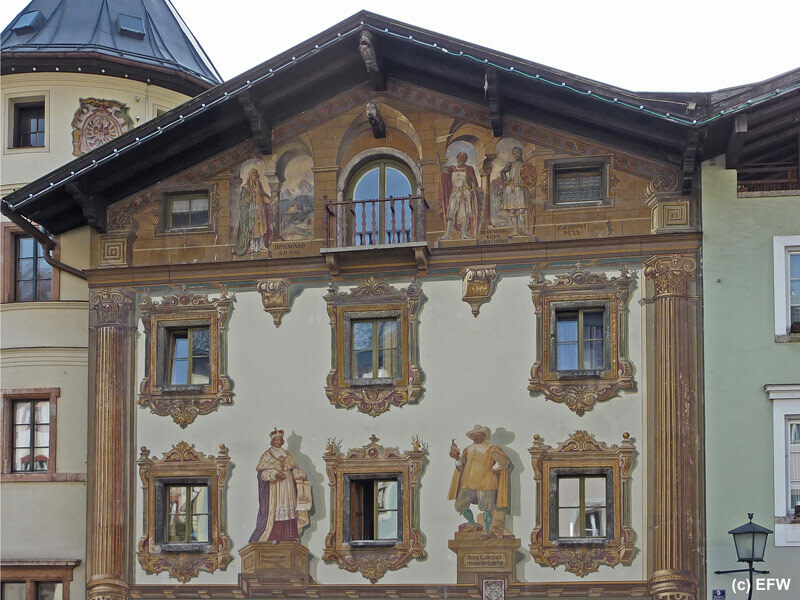 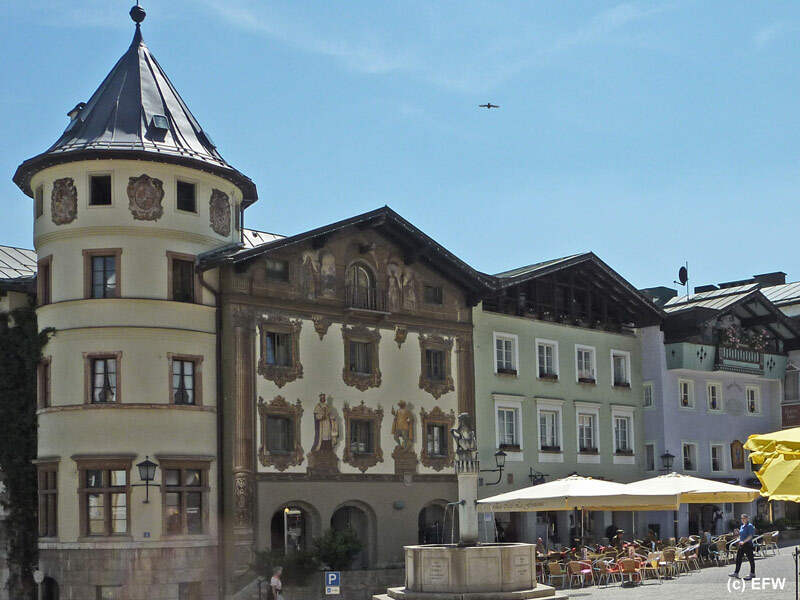 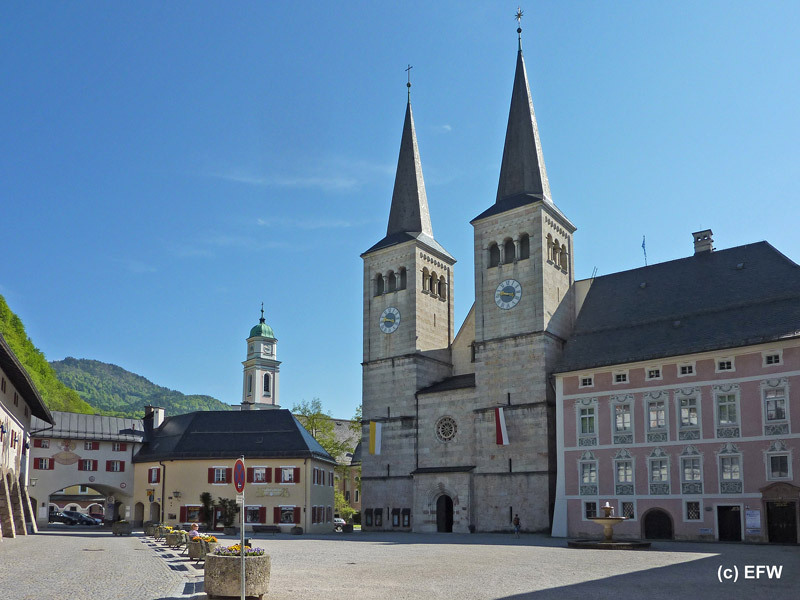 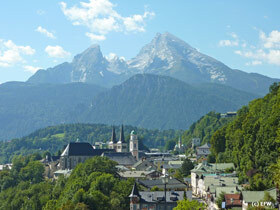 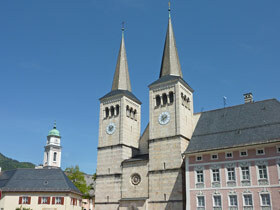 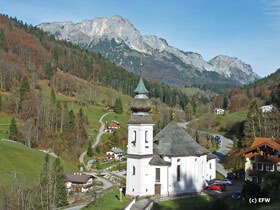 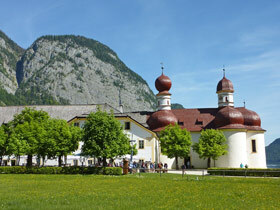 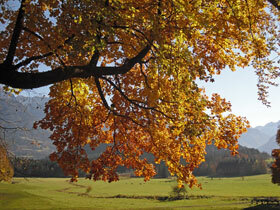 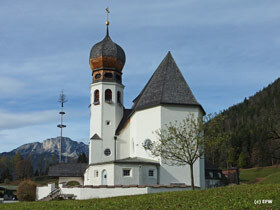 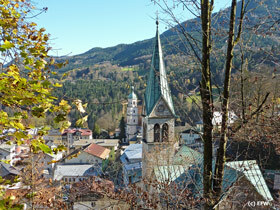 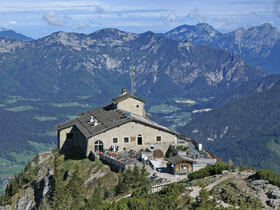 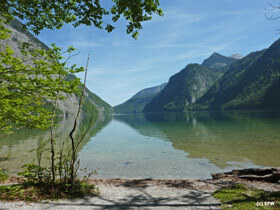 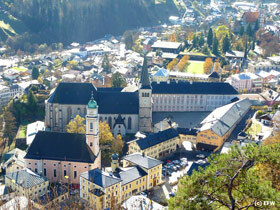 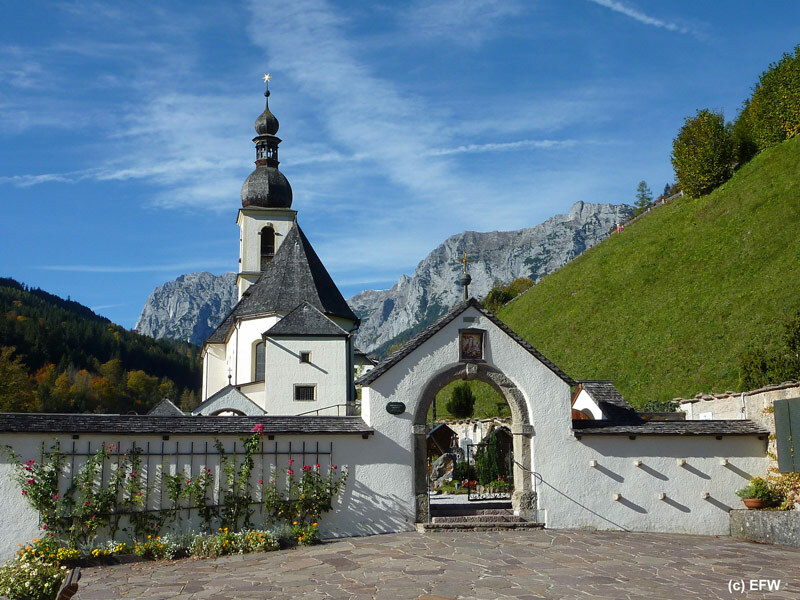 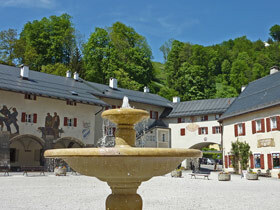 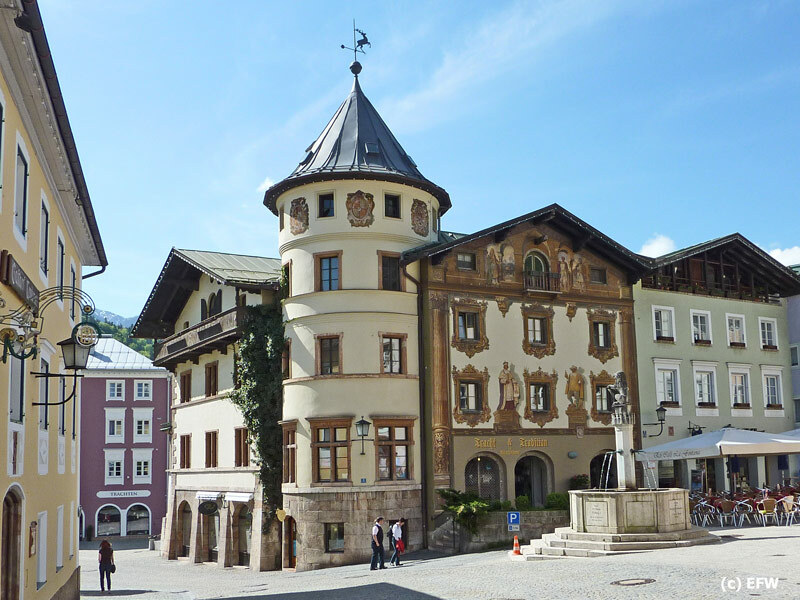 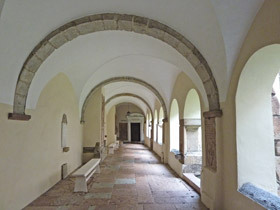 Go back a 1,000 years in the history of Berchtesgaden, including a visit to the monastery church. 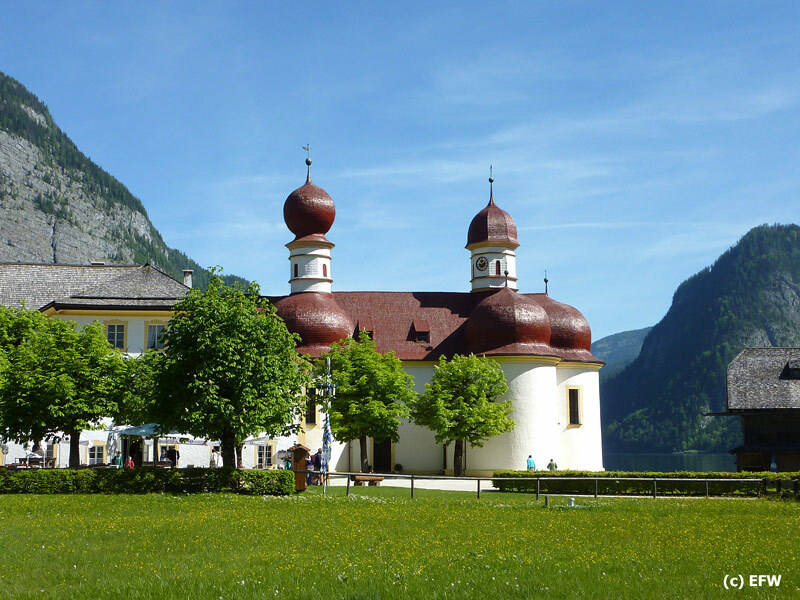 We would be happy to accompany your group in your own coach on a round trip through the valleys of Berchtesgaden or to our neighbouring regions. 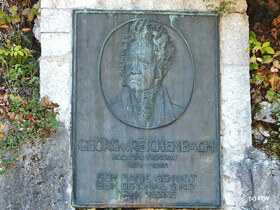 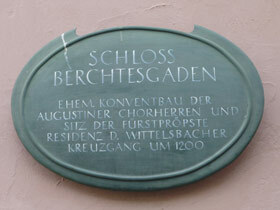 Five historic villages - Berchtesgaden, Bischofswiesen, Ramsau, Schönau am Königssee, Marktschellenberg – each with it's own character. 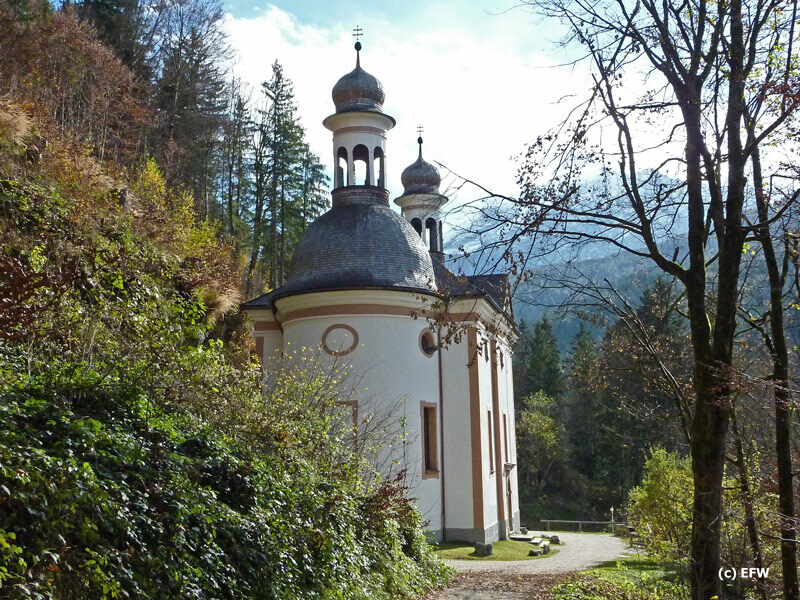 On the guided tours we will show you old farm houses, picturesque chapels and splendid pilgrimage churches nestled in magnificent countryside. 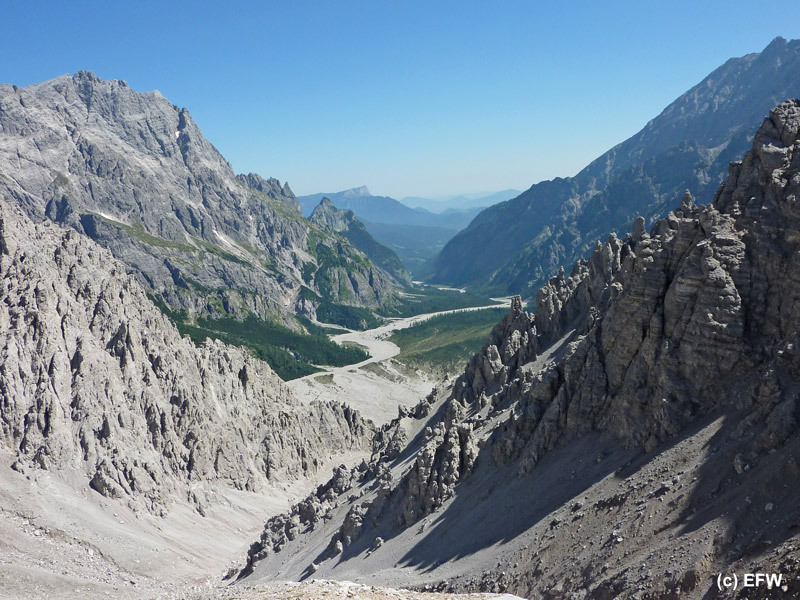 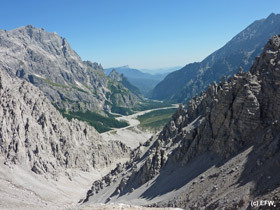 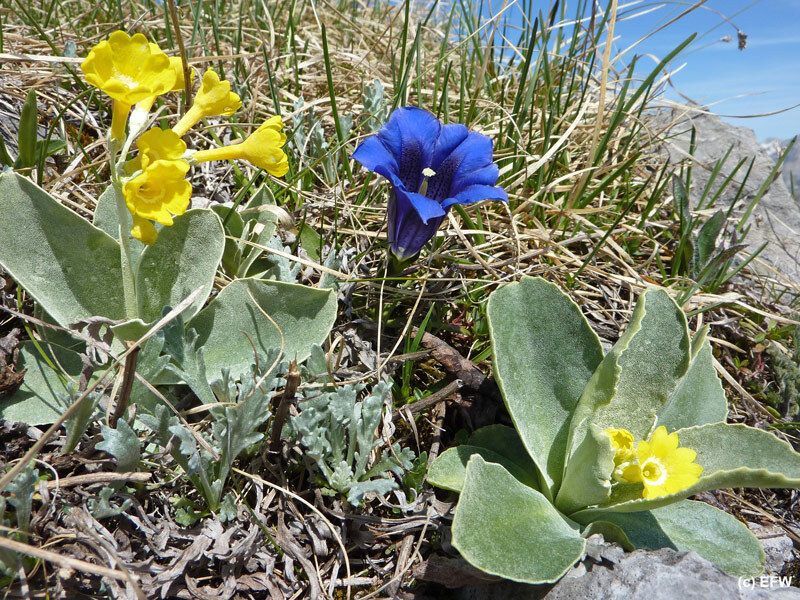 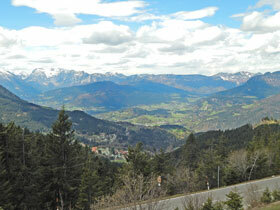 Enjoy the surrounding alpine landscape with it's impressive mountains. 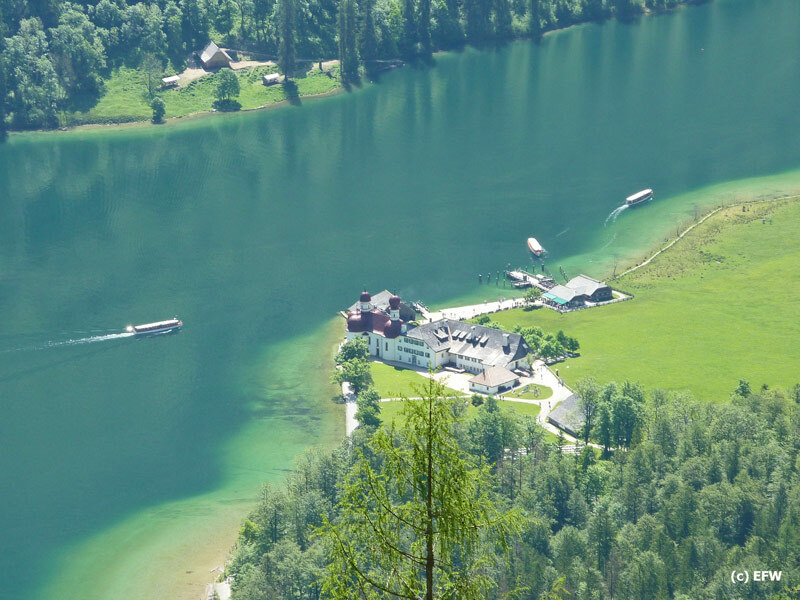 Boat trip across the lake 'Königssee' and walk across the peninsula. 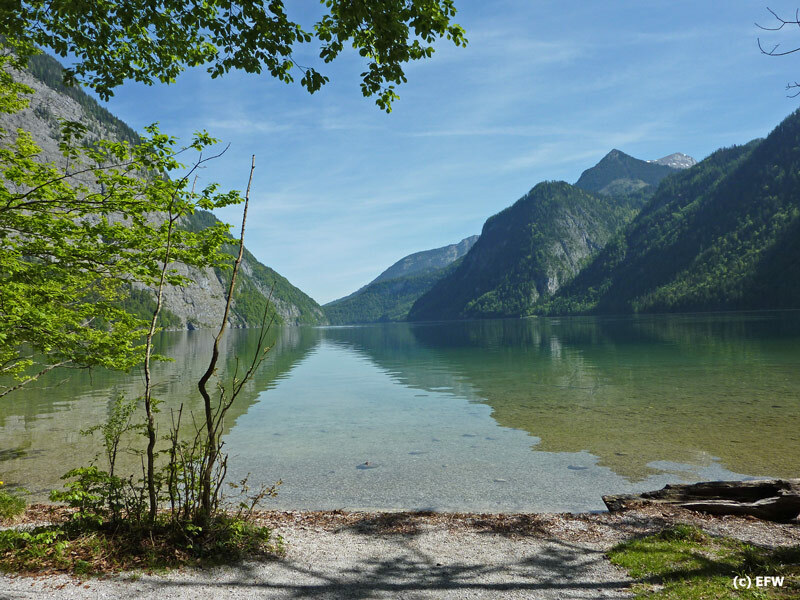 The jewel of lake Königssee – take a boat trip to St. Bartholomä and enjoy a circular walk around the peninsula or a stroll to the mystical springs next to a chapel. 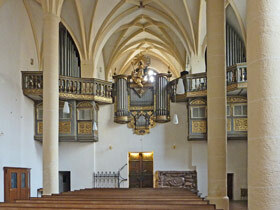 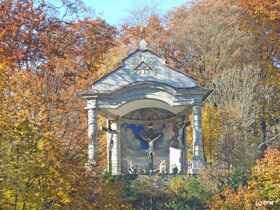 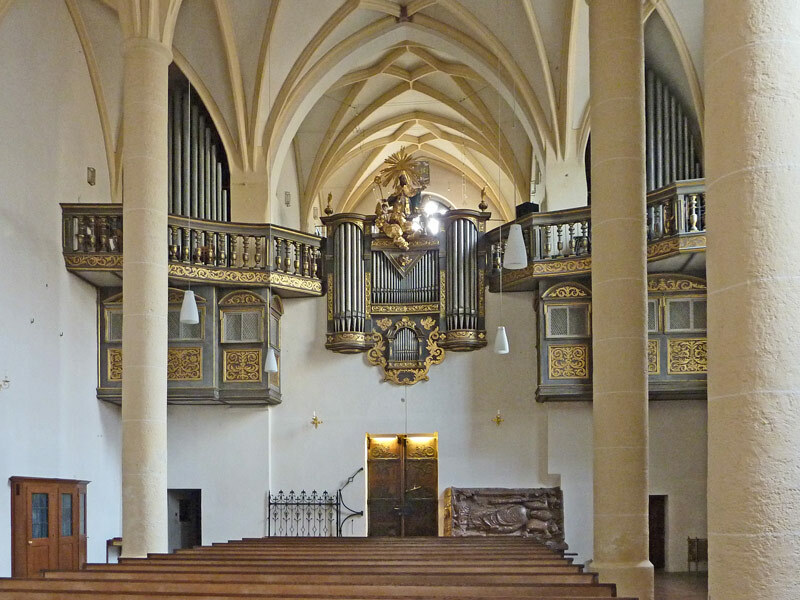 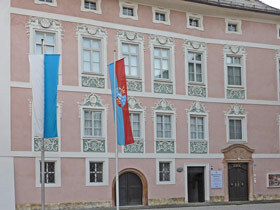 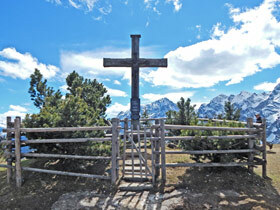 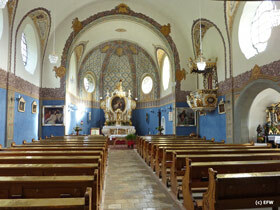 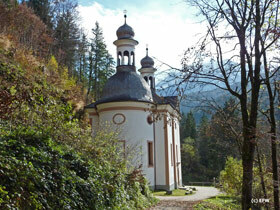 A guided tour through the famous pilgrimage church St. Bartholomä and hunting lodge is included. 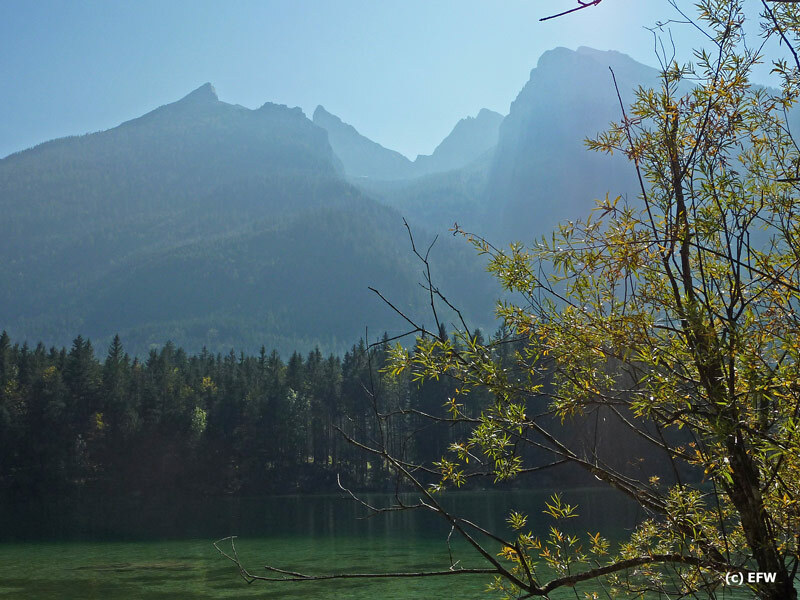 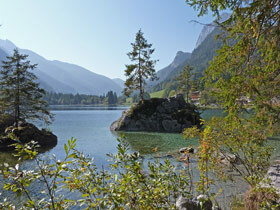 Take a boat trip to the end of the lake and a hike to the Obersee. 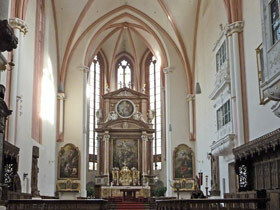 Duration: 2.5 hours, tour ends at St. Bartholomew or Salet resp. Please note: Comfortable footwear recommended. 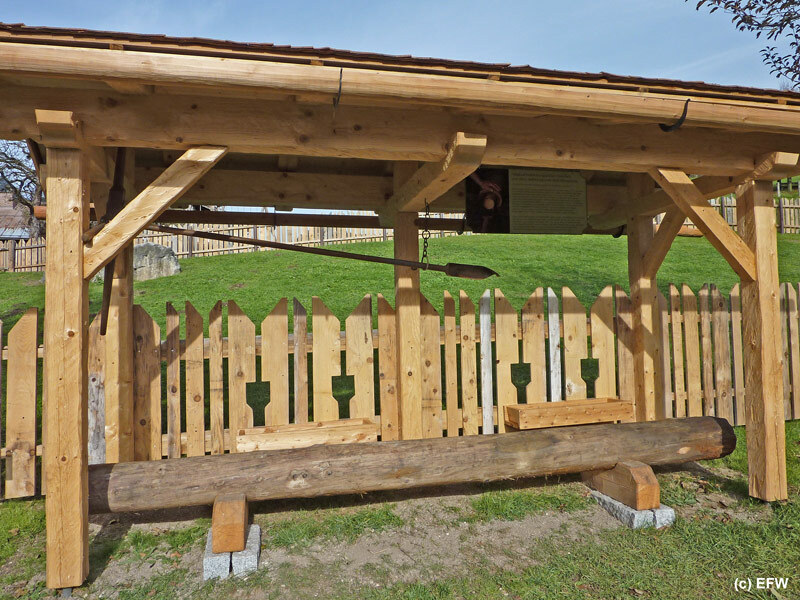 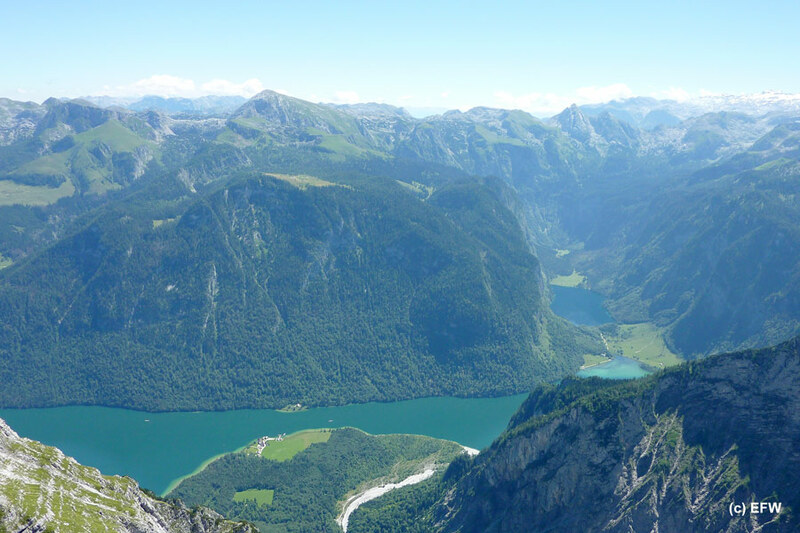 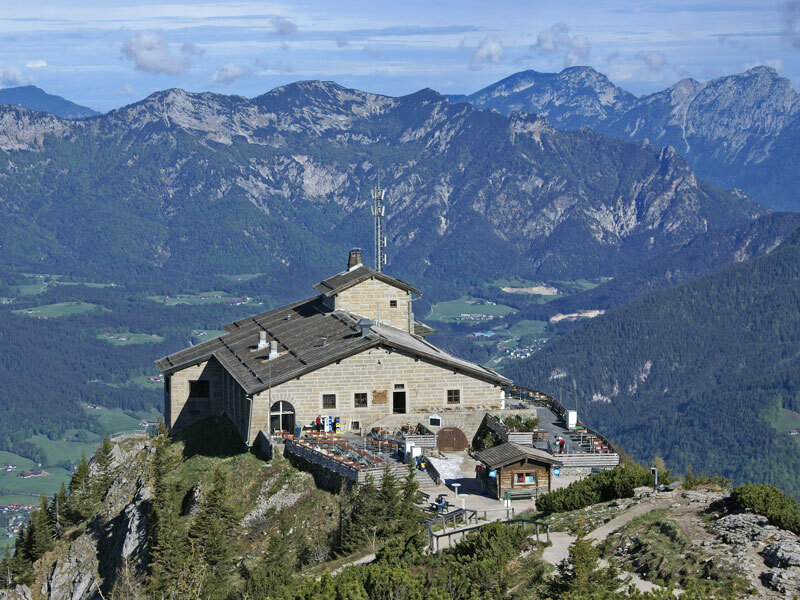 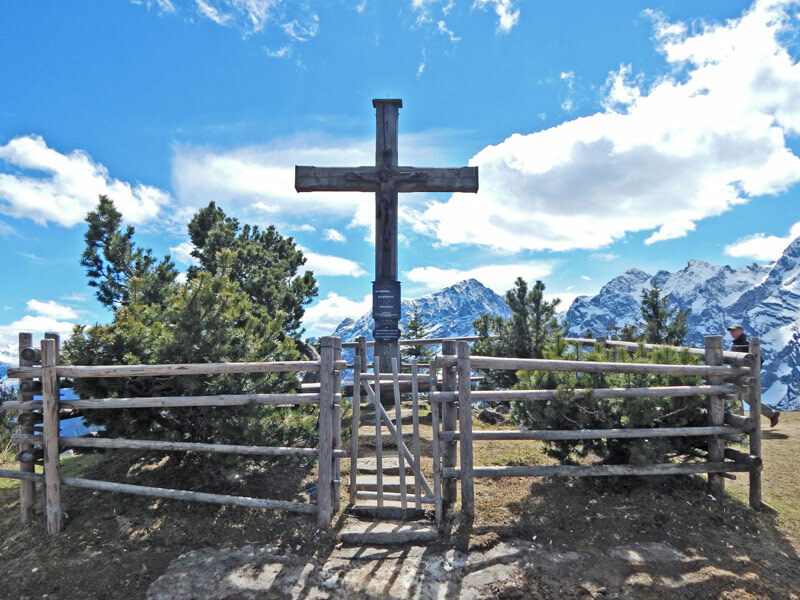 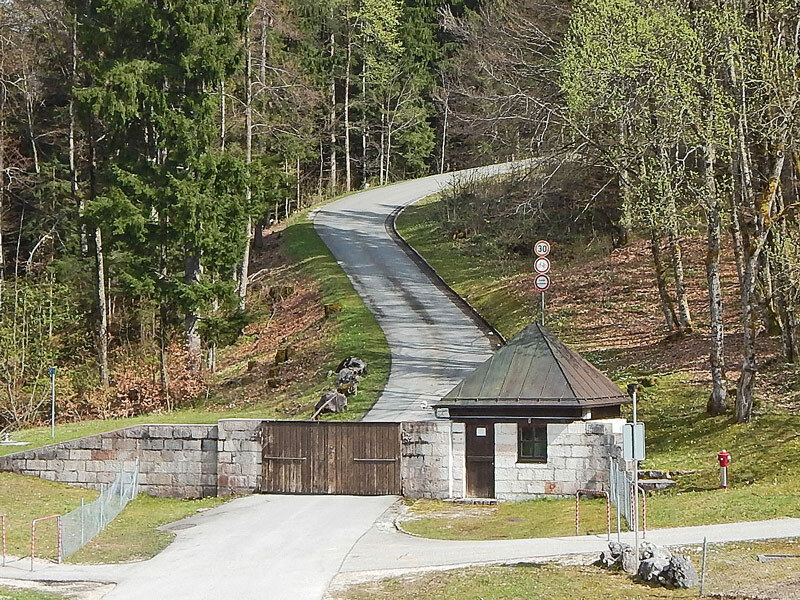 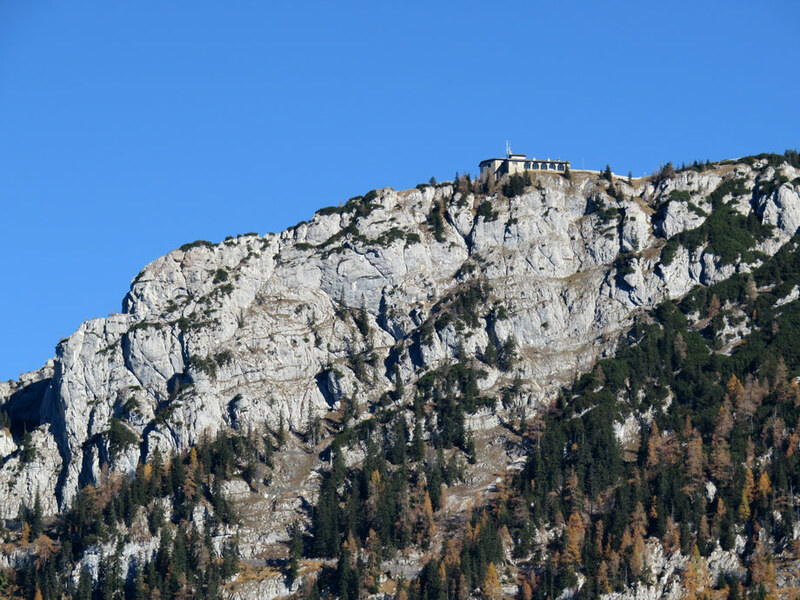 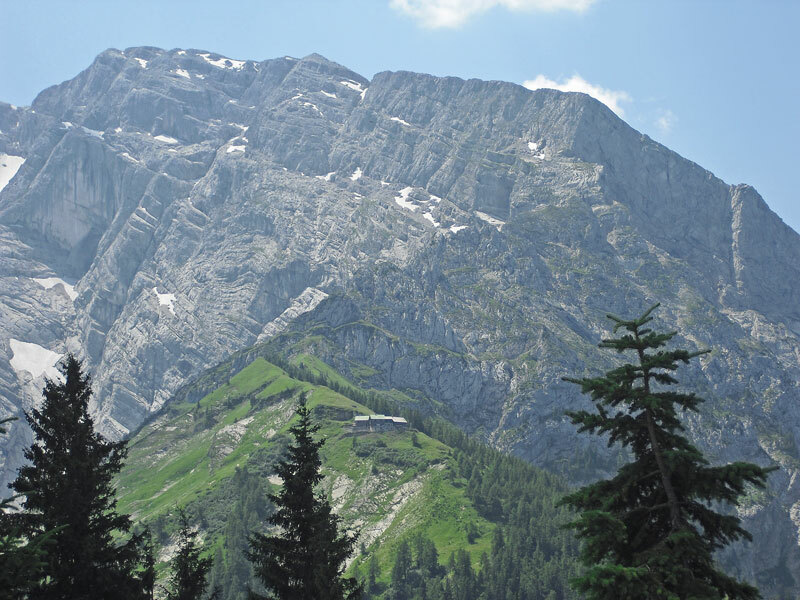 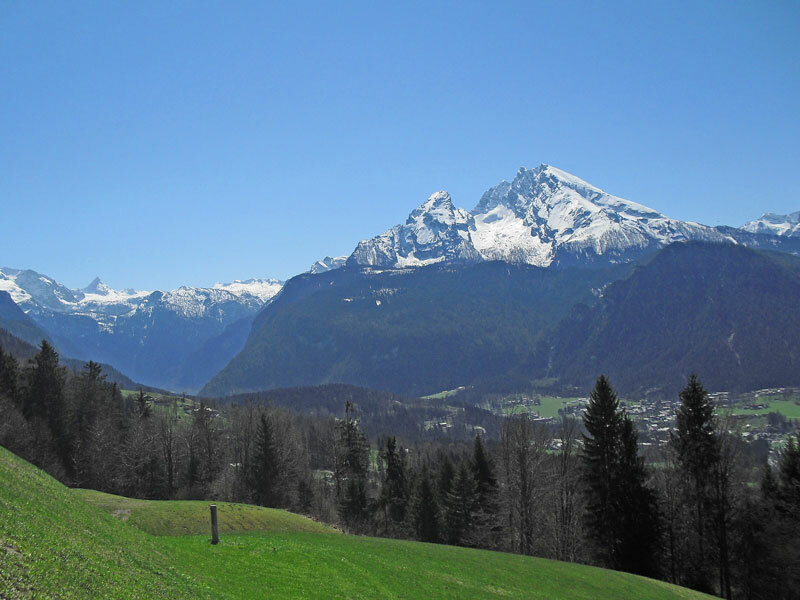 Take a ride on the Kehlstein bus up the spectacular mountain road to the Eagle's Nest – learn about the history and present use, and enjoy the magnificent setting and views on this trip. 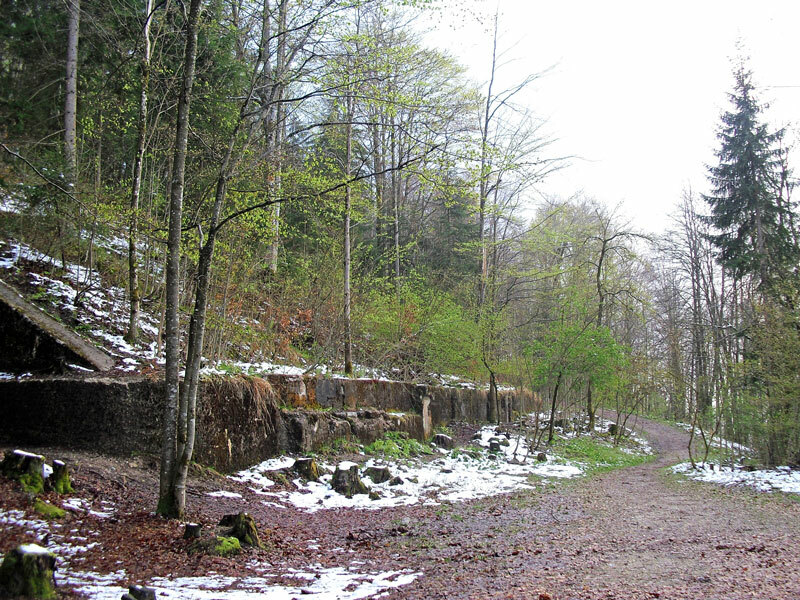 The Obersalzberg - an informative hike, explaining the change from the old farming community to the once Nazi stronghold. 15 km round trip along the serpentine Roßfeld Panoramic Road which climbs up to 1.500 m (5,000 feet) with impressive views over Salzburg und Berchtesgaden. 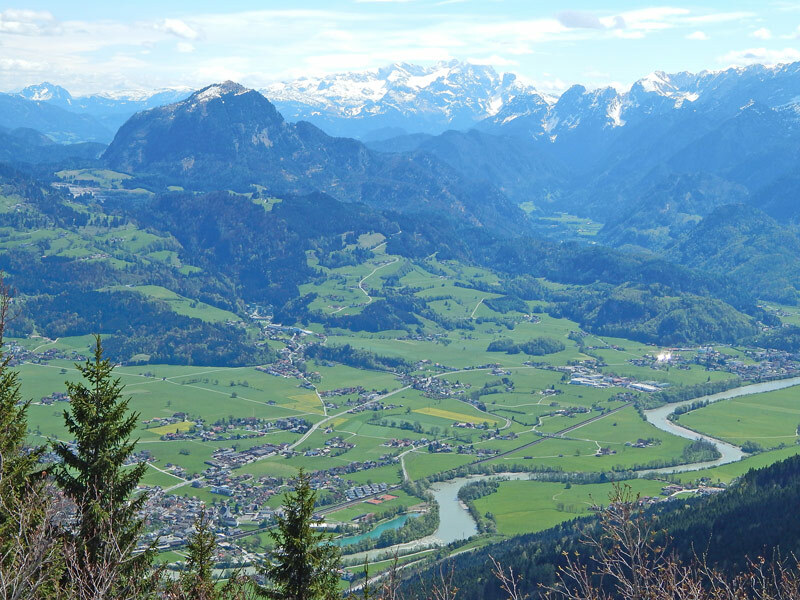 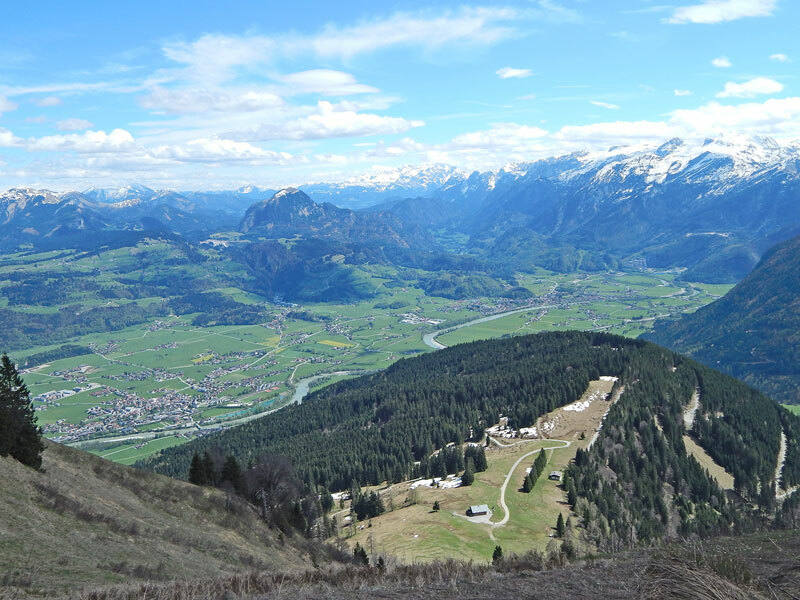 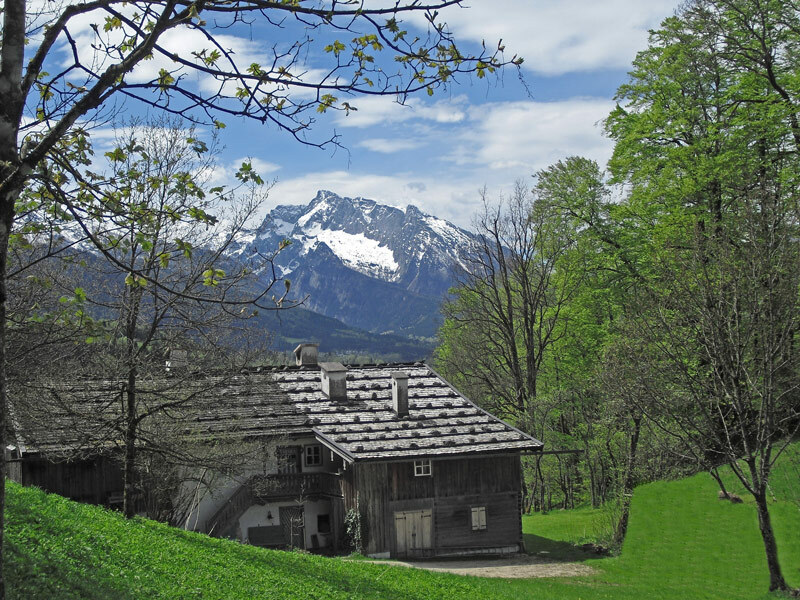 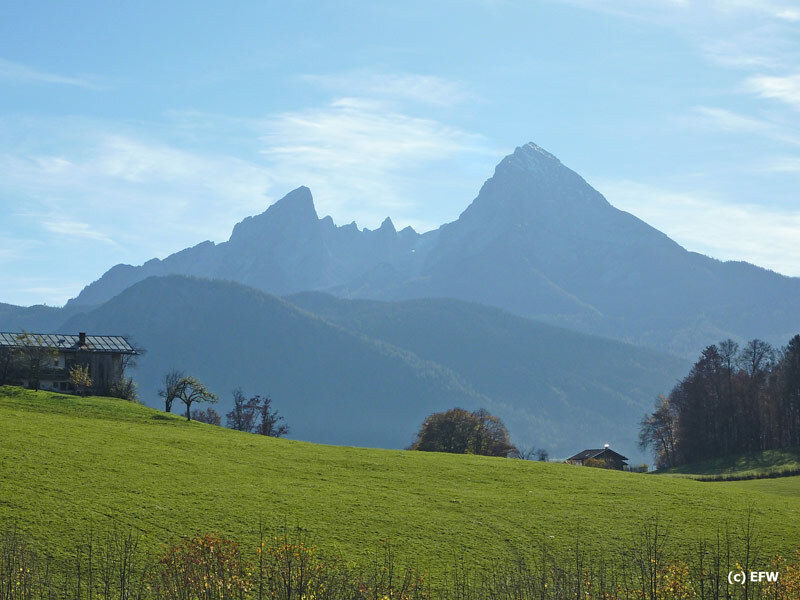 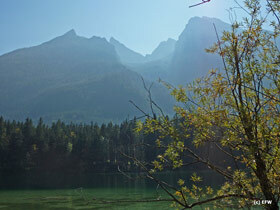 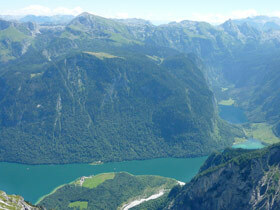 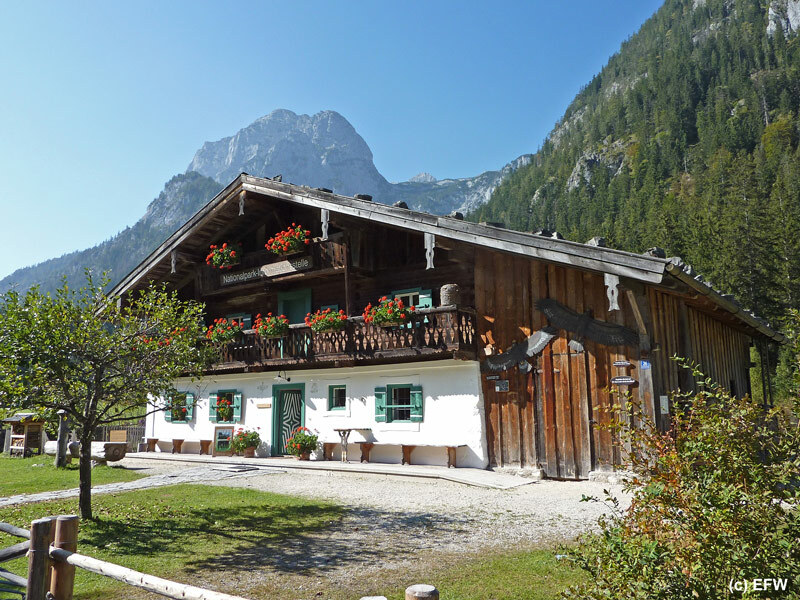 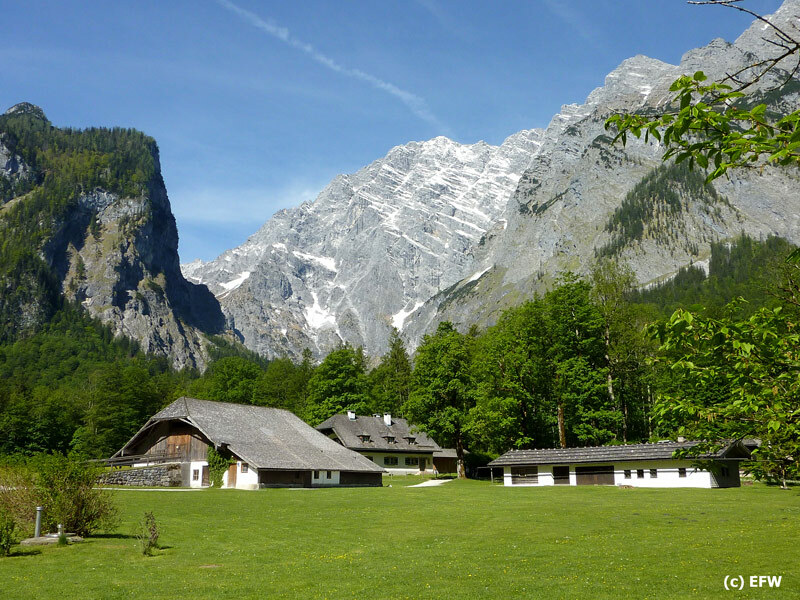 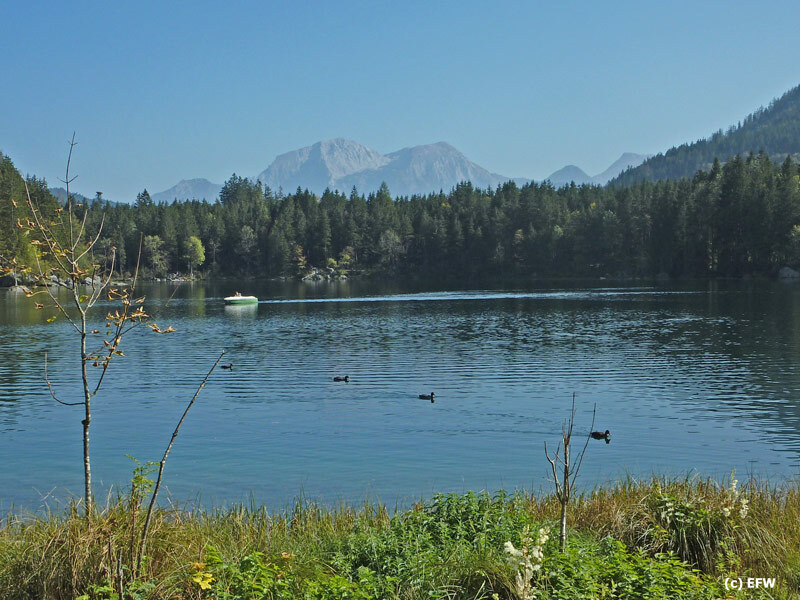 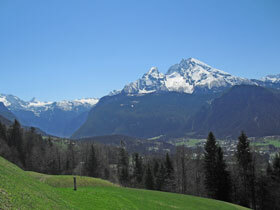 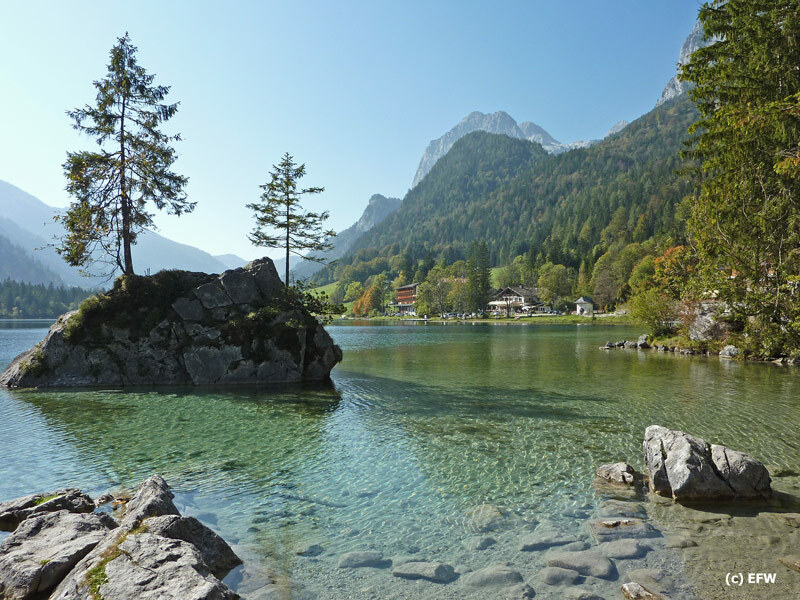 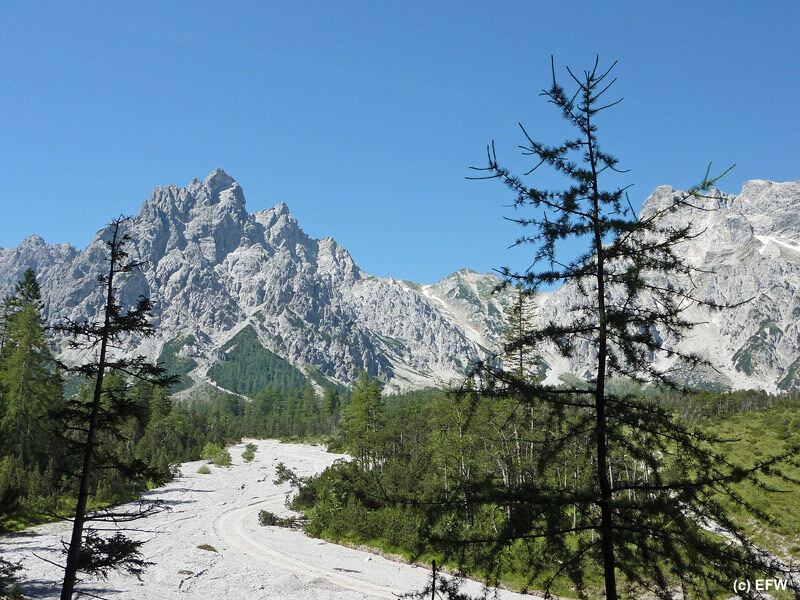 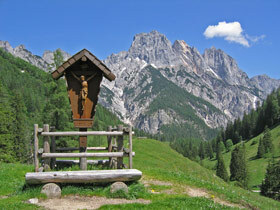 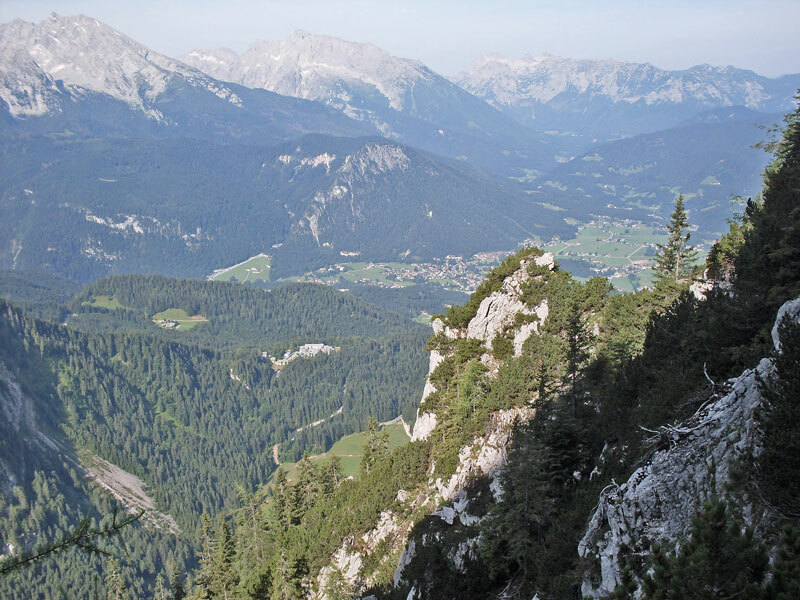 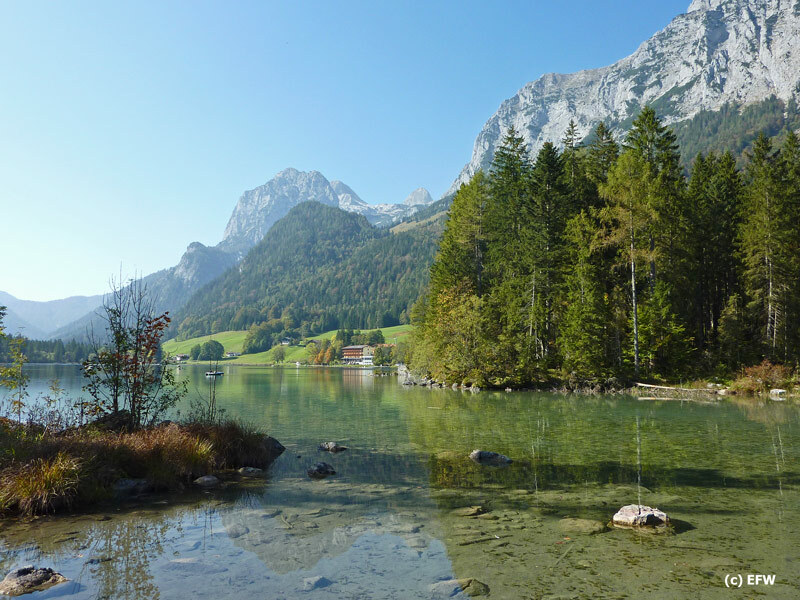 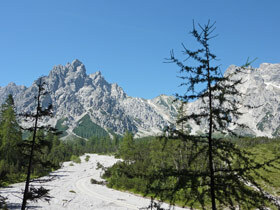 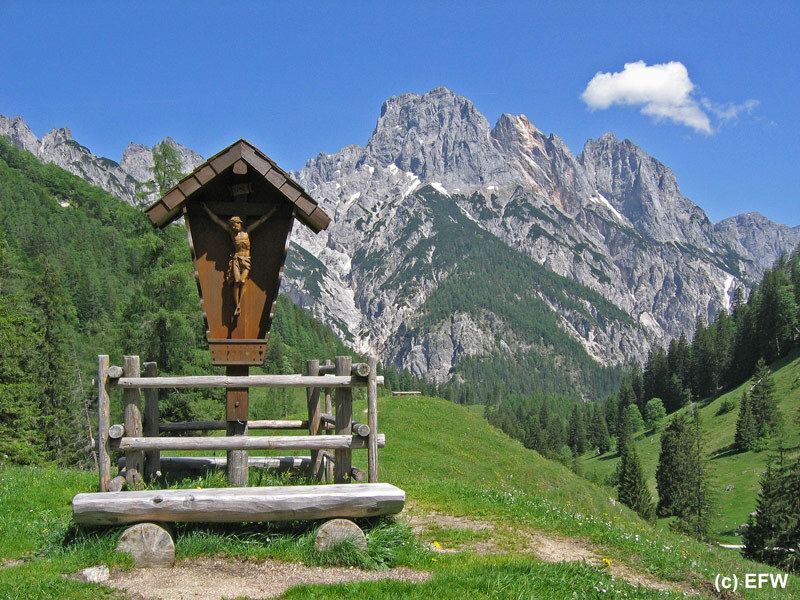 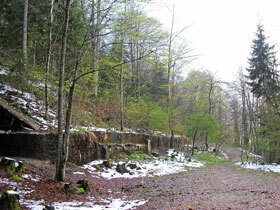 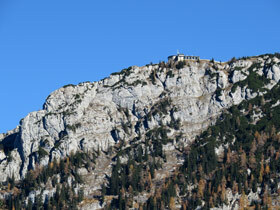 A picturesque hike which begins in the village of Ramsau. 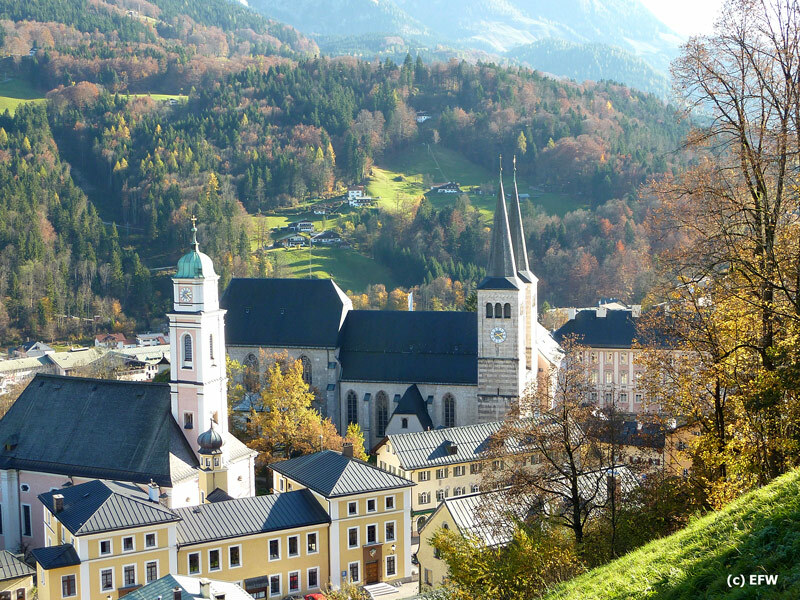 From the historic village centre with it's famous church of St. Sebastian, we follow the river through the Marxen gorge and the enchanted forest to the Hintersee. 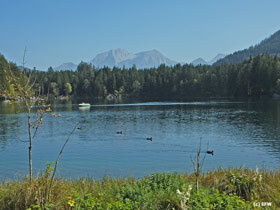 Circular walk around the lake. 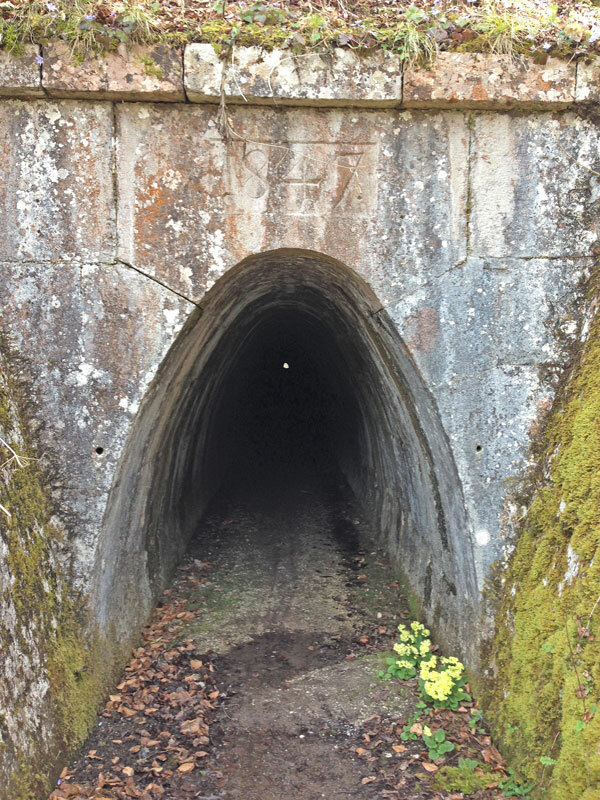 Please note: Sturdy footwear recommended. 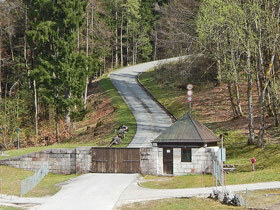 Make your own way back by foot or by public bus. 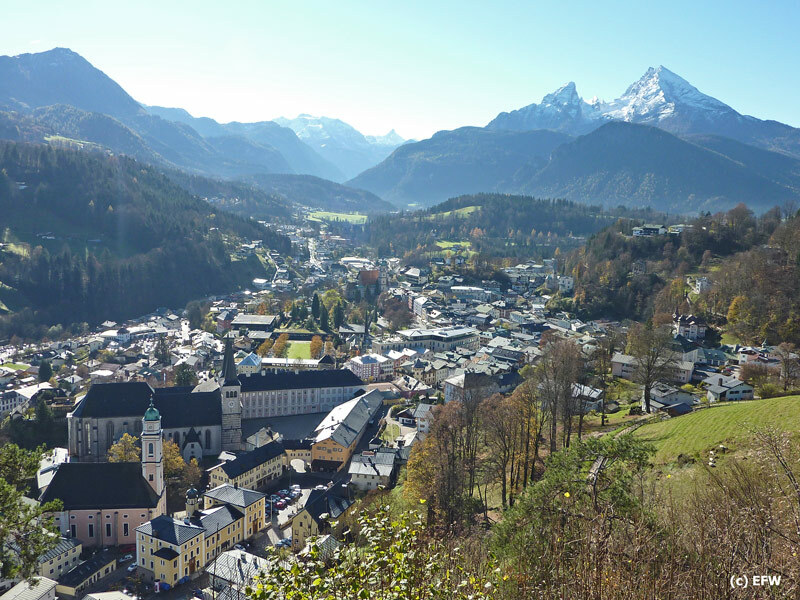 Hike along the bridle way from Bischofswiesen to Berchtesgaden, passing Aschauerweiher pool and the fairy tale trail, through the Rostwald and along the brine pipe gantry to the centre of Berchtesgaden. 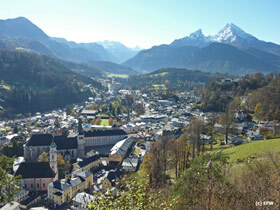 The tour ends in Berchtesgaden. 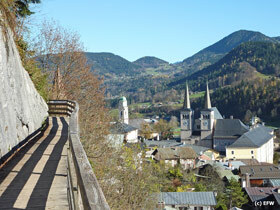 Make your own way back by local bus or walk back through the village of Stanggaß. 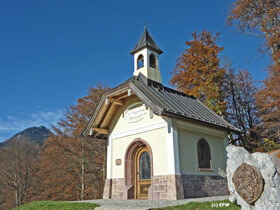 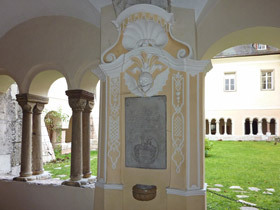 Meeting place: 'Dorfbrunnen Bischofswiesen' at 11:00 a.m.
An unusual hike from the village of Oberau down to the salt mine of Berchtesgaden. 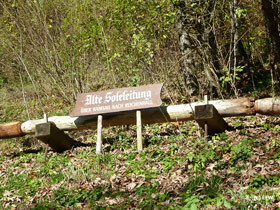 Please note: Sturdy footwear recommended. 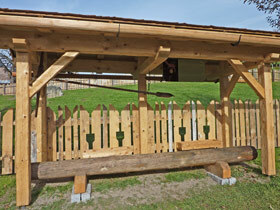 Walking poles might be useful. 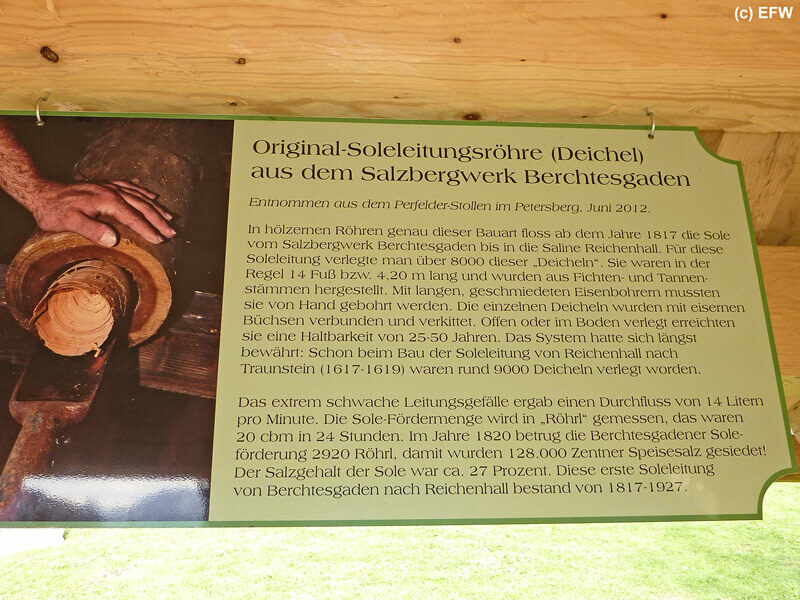 A stroll in and around the old settlement of Marktschellenberg. 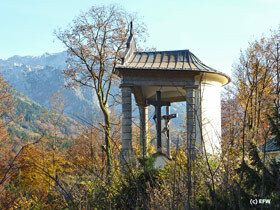 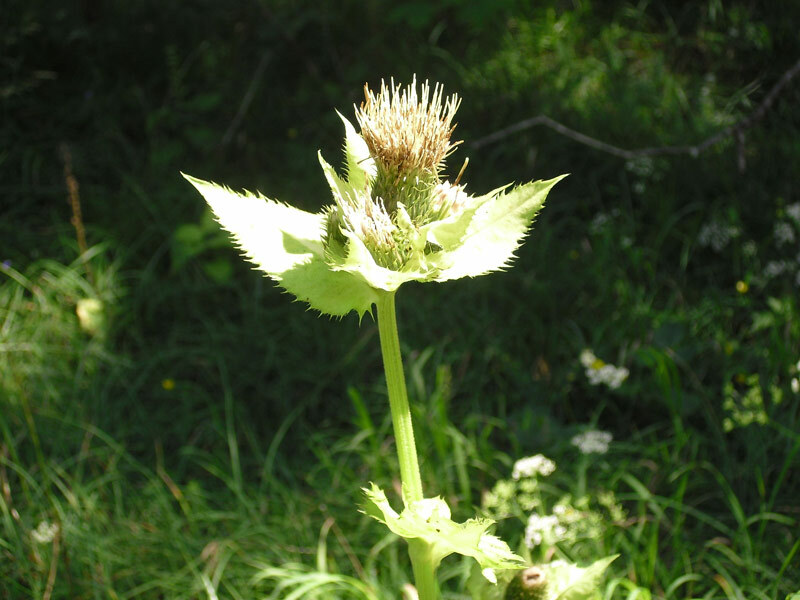 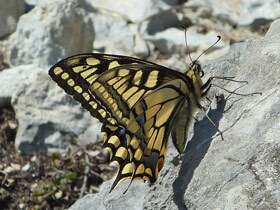 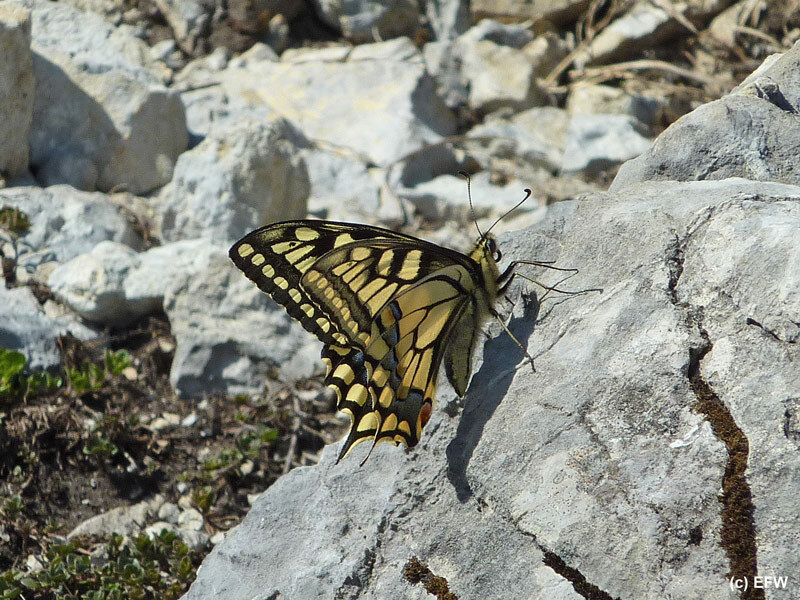 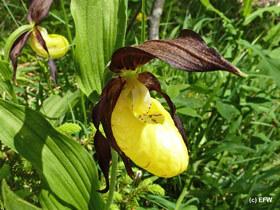 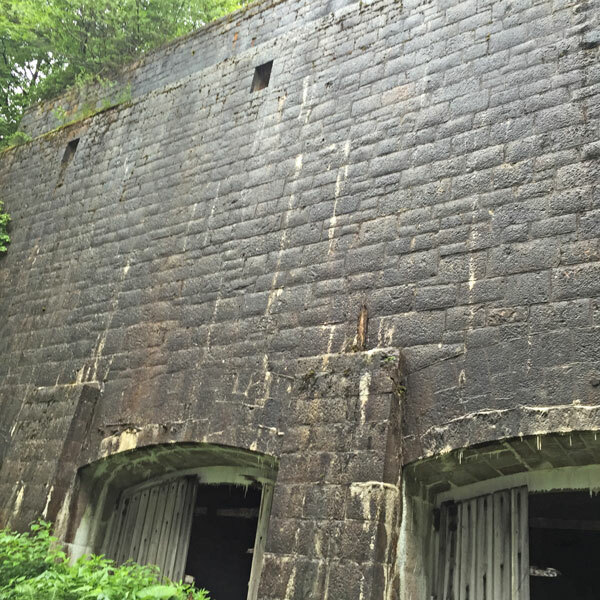 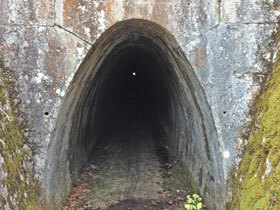 Hikes to local cultural and mystical sites including natural history along the way. 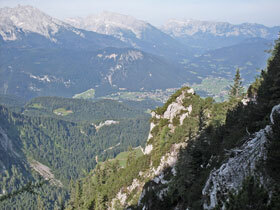 walking poles might be useful. 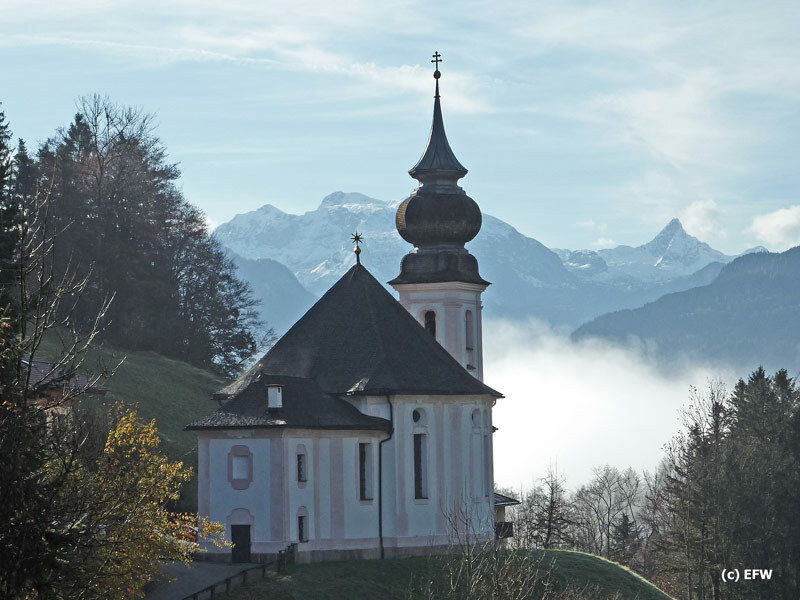 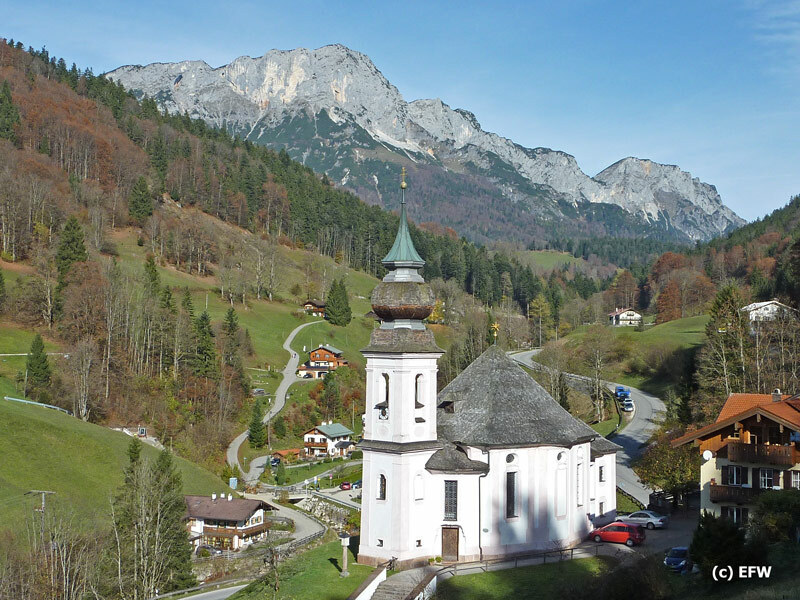 Walk from the village of Ramsau with the famous church of Saint Sebastian up to the baroque church of Maria Kunterweg and continue to the impressive Lattenbach ravine. 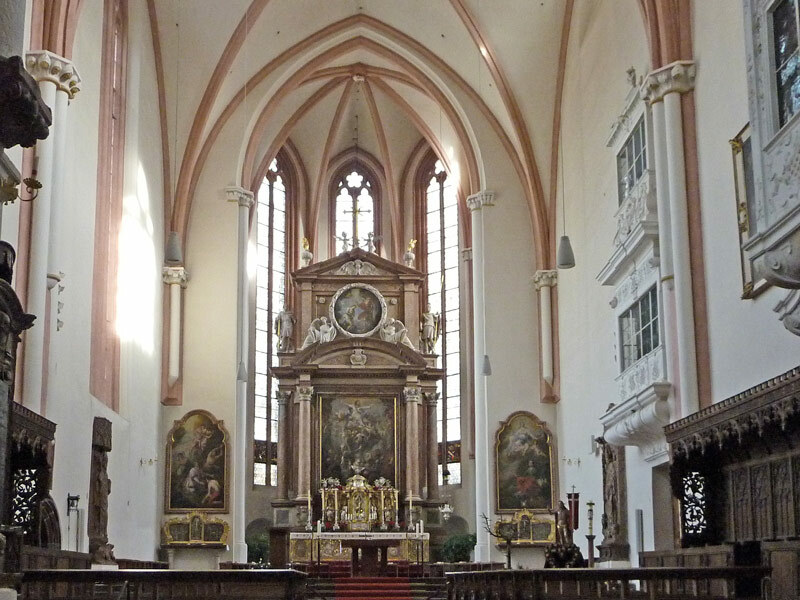 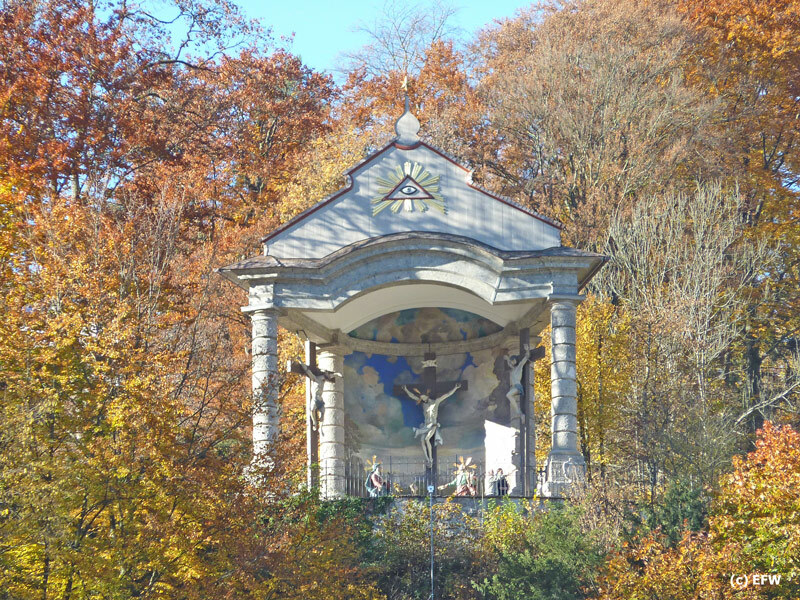 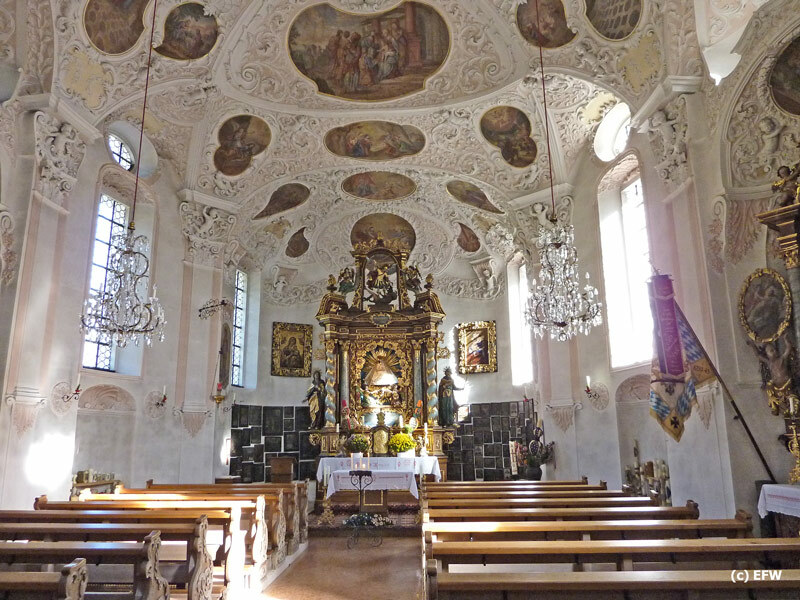 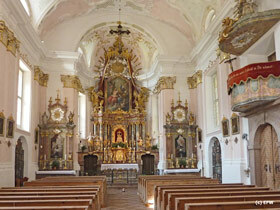 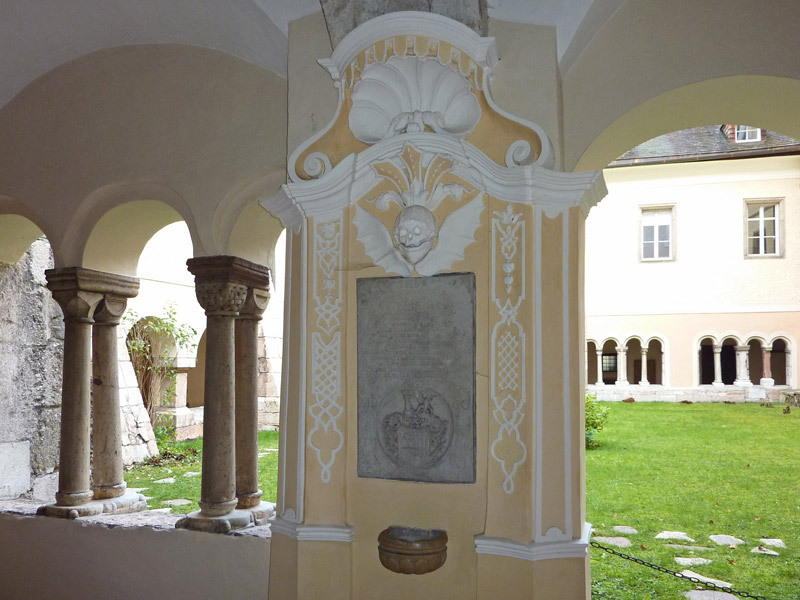 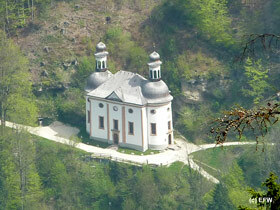 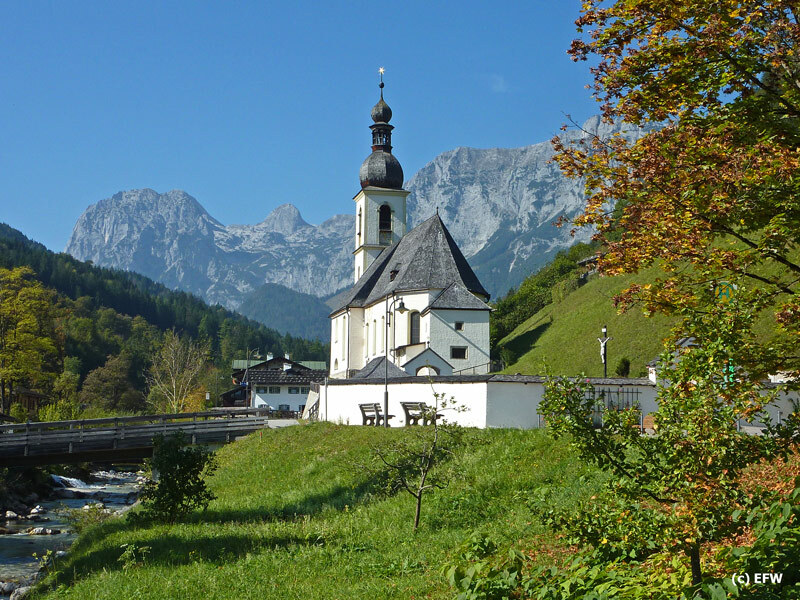 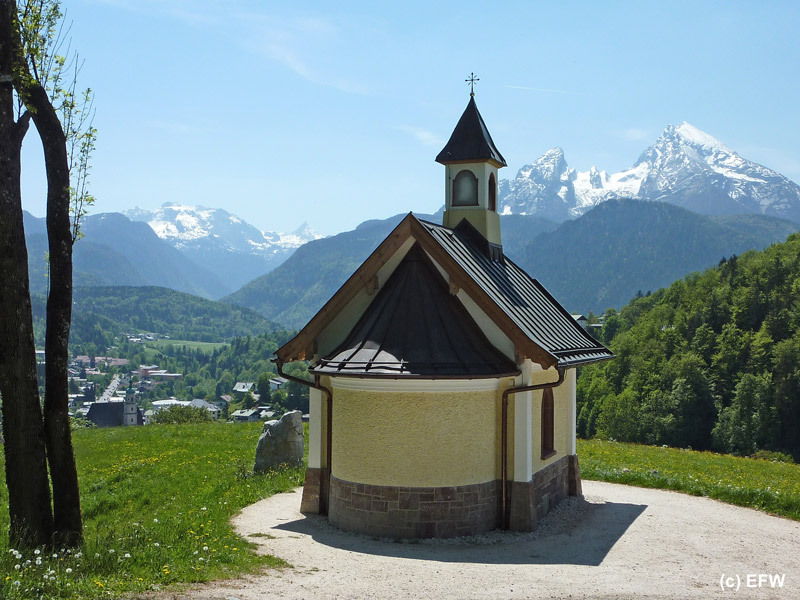 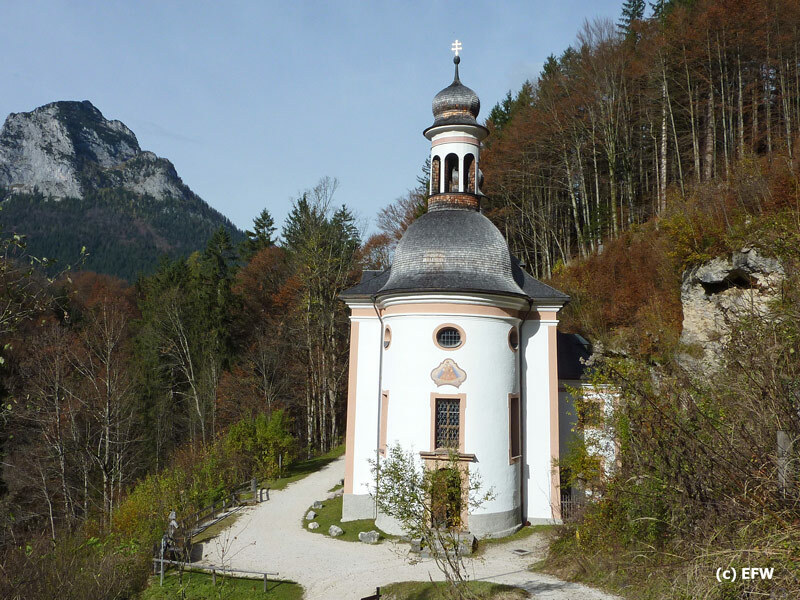 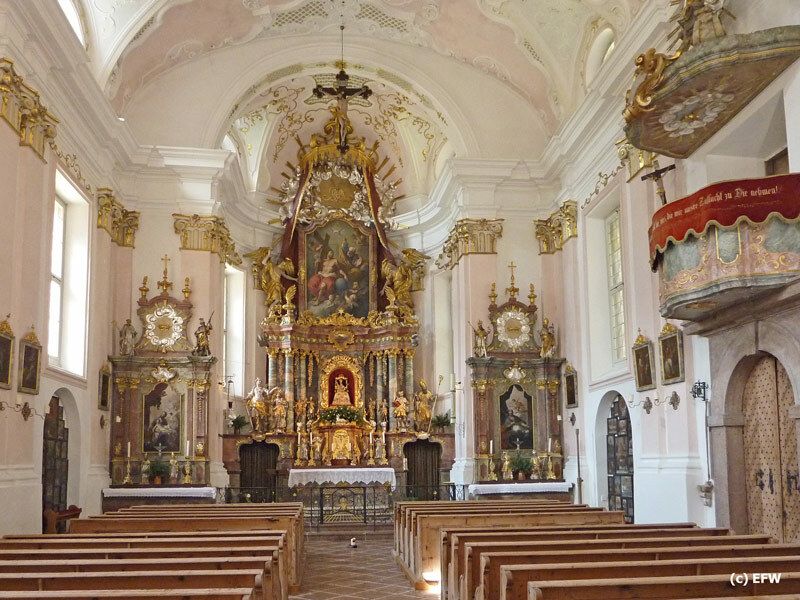 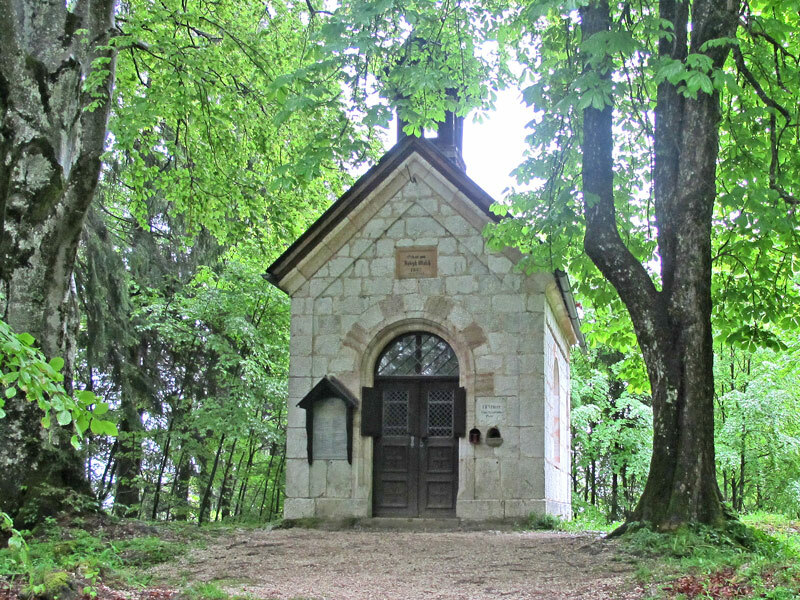 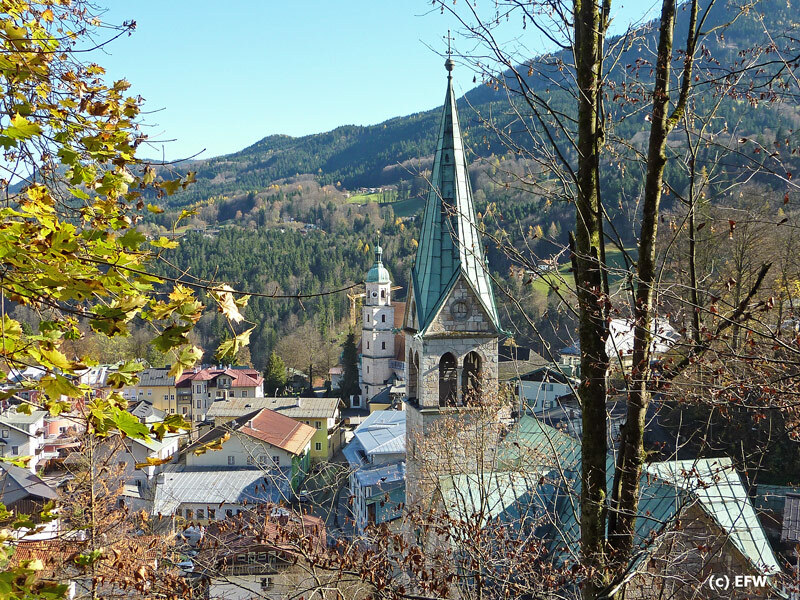 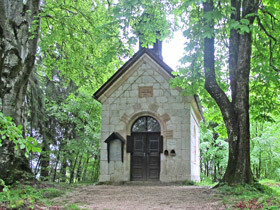 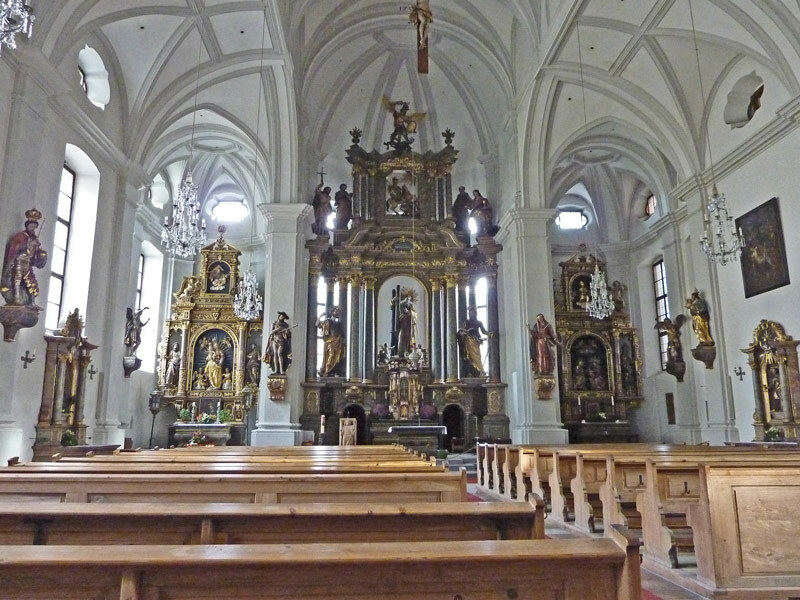 A hike within the parish of Berchtesgaden to the baroque church of Maria Gern.